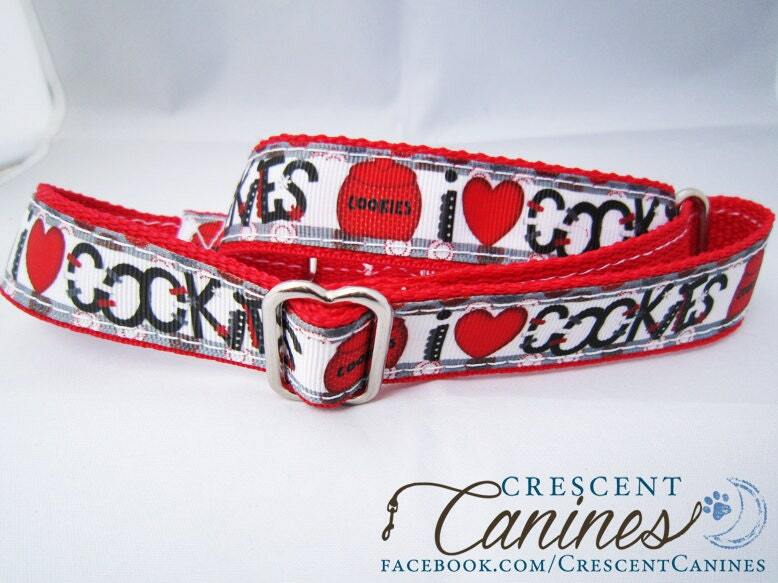 This martingale upgrade is for collars made by Crescent Canines. 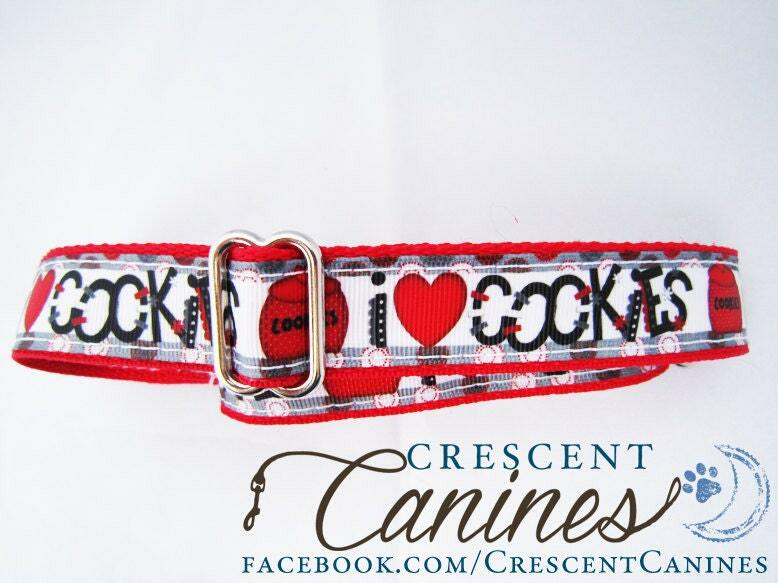 When you purchase a collar from us, you have the option to also purchase this Upgrade, which turns your standard flat collar into a martingale collar. 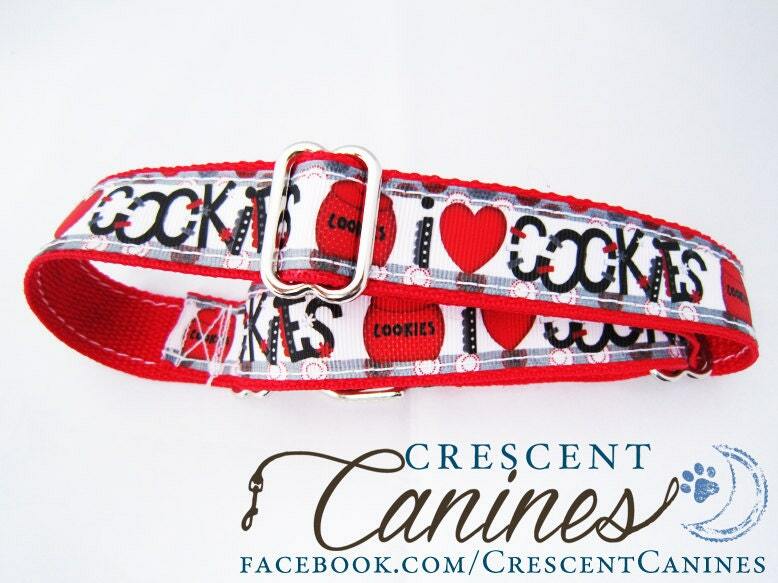 ~*IT IS HIGHLY ADVISABLE TO MEASURE YOUR DOG'S NECK*~ and leave that measurement as a comment when purchasing this collar. This will make absolute certain that you get the best fit. 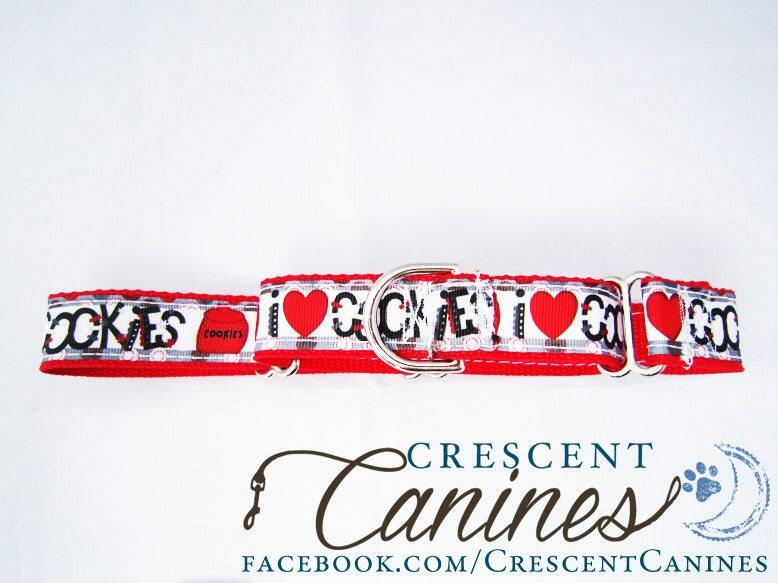 Otherwise, Martingale's will be made to have their maximum length, before being adjusted and before tightening, be the maximum length for the size you have purchased for the collar. Martingale collars are an excellent choice for dogs with narrow heads or thick necks, any dog that tends to slip their collars can benefit from having a Martingale. 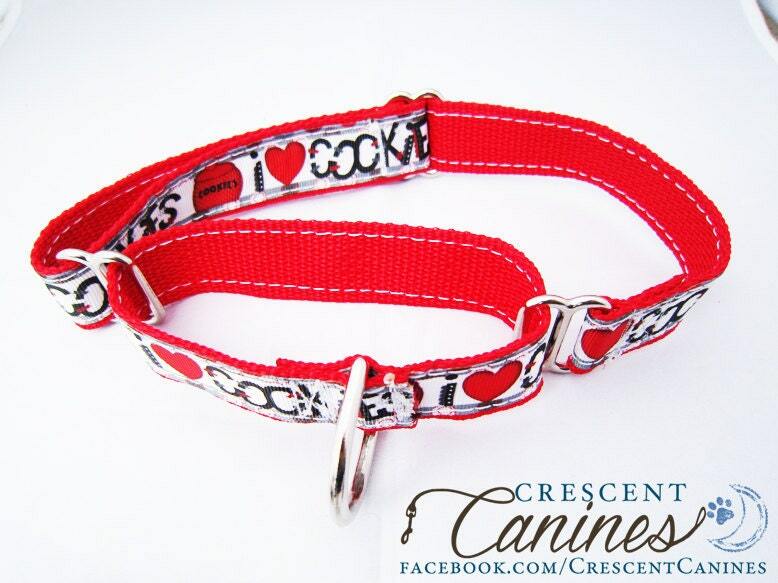 These are seen as superior and more humane thank choke chains, as they can only tighten to a certain amount.